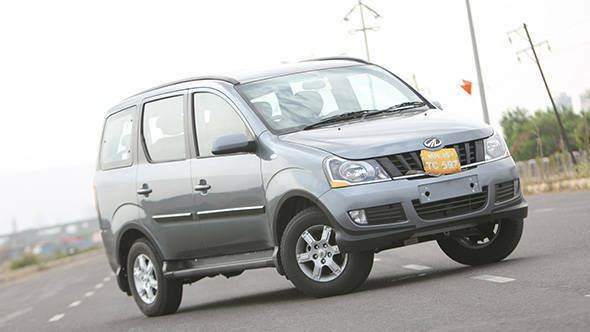 Did the Mahindra Xylo need improvements? The short answer to this is yes, it did. But, not so much in terms of the drivetrain, but more with regards to dynamics and fit and finish. But, that's not happened. What Mahindra has done instead is to give the variants a new alphabetical suffix (H now replaces E), and transplant the 2.2-litre mHawk engine in all the new variants, which hitherto was only to be found on the erstwhile E9. So, the three new variants - the H4, H8 and H9 - now produce 120PS of max power at 4000rpm and a peak torque of 280Nm available from 2400 to 2800rpm making the Xylo one of the most powerful MUVs in the country. Moreover, the H-Series also gets a new transmission known as the 5MT 320. What's so new about the gearbox? Mahindra claims the gearbox upgrade is in the interest of better efficiency and driving comfort. Our first impressions, though were of a sightly better gear shift quality. It still isn't fantastic and we believe it needs further refining. But, on a positive note, the tendency of the gear shifter to jump out of first - a perennial problem with the earlier gearbox - seems to have reduced in the new 'box. The gear ratios have also been revised. In favour of better fuel economy, particularly on the highways, the fourth and fifth are now taller while the third has been shortened a bit to improve city drivability. What does it mean in the real world? We slapped on the VBOX onto the H9 variant to find out. And the results were, lets just say, the same, mostly. The H9 sprinted from nought to 100kmph in 13.8 seconds compared to the E9's 13.7 seconds. There wasn't a telling difference in the top speed either. But, because of the revised spread of gear ratios, the H9 accelerated from 30 to 80kmph in third two seconds quicker than the E9 taking 8.0 seconds to complete the run. In fourth and fifth however, the H9 was slower. It took 14.1 seconds and 20.7 seconds to complete the 40 to 100kmph run in 4th and 5th gears respectively. The E9 had managed the same test in 13.3s and 18.8s. So, is the Xylo now a better MUV? 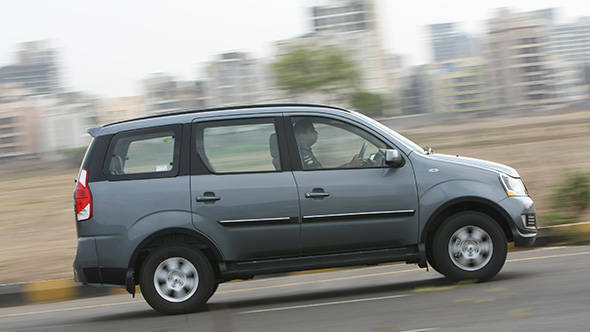 There wasn't anything alarmingly wrong with the Mahindra Xylo in the first place, especially as an MUV. 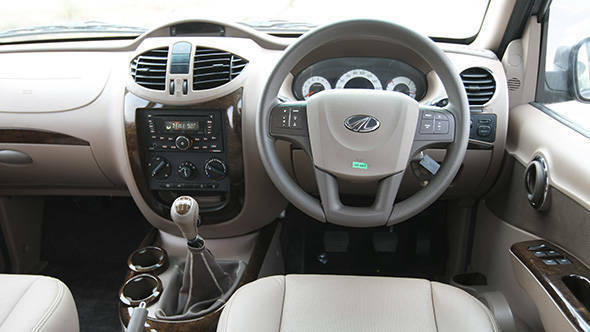 It has traditionally scored high for being comfortable, spacious and easily the best equipped in its segment. It also bagged OVERDRIVE's UV of the year award in 2010 and was our preferred choice of vehicle when we conquered the country from west to east and then from south to north. So performance and reliability aren't really in question here. It isn't as bad looking as the first lot either, courtesy the facelift it received last year. As for the new H-series, the new gearbox has improved the drivability in the city and made the Xylo a more relaxed tourer on the highway. There is also more equipment option now available on the cheaper versions. You can now get the H4 with ABS and EBD, while the H8 can be ordered with airbags in addition to the ABS and EBD. The top of the line H9 gets cruise control, voice command technology, reverse parking assist and digital drive assist (essentially a multi-function display) apart from the ABS, EBD and airbags. Pricing for the range remains competitive. It begins from Rs 8.23 lakh, ex-showroom Mumbai for the non-ABS version of the H4, going up to Rs 10.45 lakh, ex-showroom Mumbai for the fully loaded H9.